I always move between two worlds with my work. I go from very illustrative and loose to more graphic and simple. If I had to pick one I'd stick with the latter but I enjoy working both ways. I find that lately I've been craving the work with the loser illustrations and sketches. I've been working on them during the week as a warm-up to my day. It's been a great practice that keeps my design mind nimble. Typically, I look at my lose sketches and imagine them in a more graphic and reduced format. 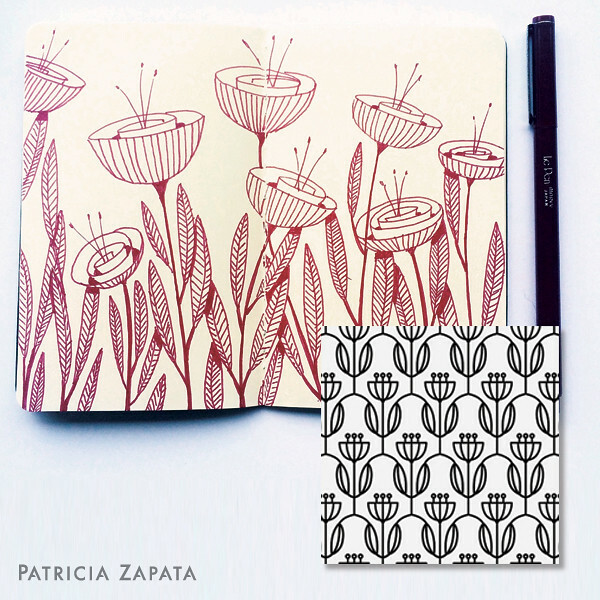 Today is a great example of how my sketch inspired a pattern that I'm really loving at the moment. Behind the scenes I've also been working on an adult coloring book. I'll show you some spreads when the time comes. Cant wait! 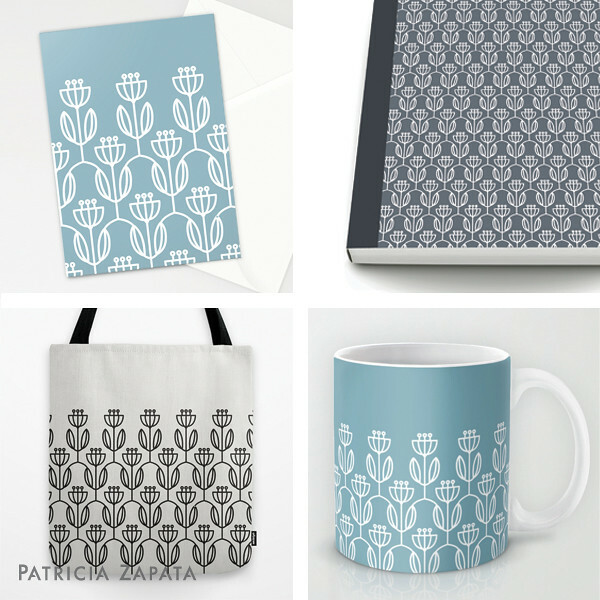 Most of these products can now be found in my Society6 shop. I haven't had time to update my Spoonflower shop but that will be forthcoming as well.